The 2019 Dengue Fever Virus on the Island of Jamaica has reached 339 suspected and confirmed cases, including 6 deaths, as of January 21, 2019. Pan American Health Organization (PAHO) and World Health Organization (WHO) reported on February 4, 2019, that the largest proportion of the 2019 dengue cases have been reported by the Saint Catherine parish in Jamaica. Lab tests during 2019 have identified dengue virus 3 (DENV3) as the circulating serotype in Jamaica. Dengue, an acute febrile illness, is caused by infection with any of 4 related positive-sense, single-stranded RNA viruses of the genus Flavivirus, dengue viruses 1, 2, 3, or 4, says the WHO. The Jamaican Ministry of Health (MoH) declared the dengue outbreak on January 3, 2019. The Jamaican MoH launched the Emergency Operations Centre on December 27, 2018; and fully activated it during January 2019 to facilitate the coordination and reporting of activities. The response activities are geared towards strengthening the response capacity with adequate human resources, as well as supporting efforts to reduce the entomological indices for the Aedes aegypti mosquito across the island and enhancing clinical management capacity. During 2018, the dengue hot-spots were in Kingston and Saint Andrew parishes, when a total of 986 suspected and confirmed cases of dengue, including 13 deaths have been reported. According to historical data, Jamaica reported a major outbreak in 2016, when 2,297 cases of dengue infection including 2 deaths were reported. DENV3 and DENV4 circulations were confirmed at the time. Additionally, the WHO said some countries and territories in the Caribbean region, such as Guadeloupe, Martinique, and Saint Martin, reported an increase in dengue cases. Of note, Saint Martin and Guadeloupe have reported serotype DENV1 is currently circulating, said the WHO. Additionally, in November 2018, Takeda’s dengue vaccine candidate, TAK-003, presented data on its most recent analysis. The TAK-003 vaccine candidate includes live attenuated strains of each of the 4 dengue serotypes. As of January 28, 2019, the CDC had not issued a Dengue Fever Travel Alert for the Caribbean Islands. 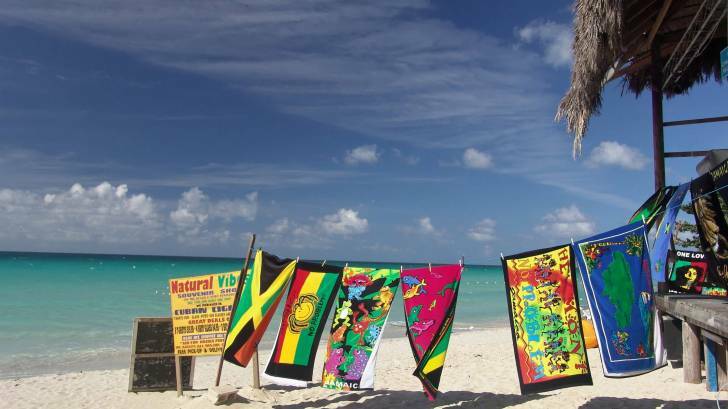 The CDC recommends Americans ensure they are up-to-date on routine vaccines before visiting Jamaica, and other Caribbean Islands. These vaccines include the MMR vaccine, diphtheria-tetanus-pertussis vaccine, varicella vaccine, polio vaccine, and your yearly flu shot.